Heavy gauge die cast aluminum head with strong twin-bolt blade locking and spring-loaded clamp. 4” wide reversible blade scraper with 3 Endura blades, 8 inch. 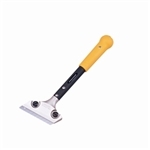 4” wide reversible blade scraper with 3 Endura blades, 12 inch. 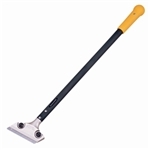 4” wide reversible blade scraper with 3 Endura blades, 24 inch. 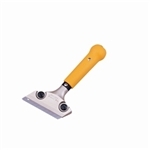 ” wide reversible blade scraper with 3 Rock Hard blades, 48 inch.